Our China Waiting Child adoption program gives families the chance to play a role in their own matching process, meaning every family’s experience is unique. While some may look at many files before they find their kiddo, other families may move forward with the very first child whose file they review. Either way it seems that more often than not when a family finds their child on our Waiting Child photo listing, they have a moment of realization and know that their search is over. I am a big believer in photo listings. I know from personal and professional experience that getting children’s faces seen is the key to getting them families. My husband and I did not set out to adopt a child that was paralyzed or that had spina bifida and hydrocephalus. But when we saw our little Lillian, we just knew that she was ours. 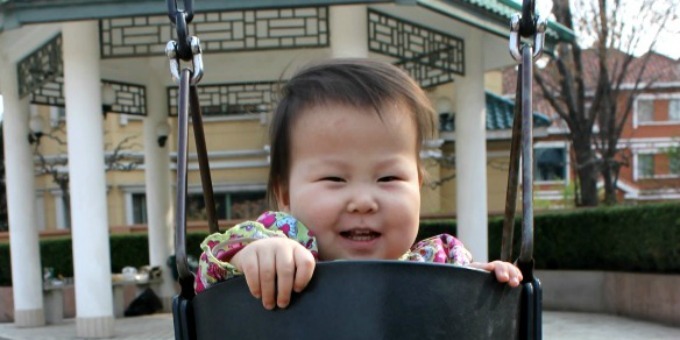 When we first submitted a request to learn more about Lillian, our China matching specialist, Heidi, did a great job of providing us information on the child and on the process (if we decided to move forward). She was supportive and informative without being pushy. We took some time to pray about our daughter and get some advice from medical professionals and from other parents who had adopted children with the same special needs. Once we were ready to commit to our daughter and start the process to bring her home, Heidi seemed genuinely excited and happy for us and helped us get the ball rolling. I can say too that we originally inquired about a different child, and after reviewing her file we just new that she was not the right child for us. It was very difficult to say no to a child and ask to see a different child’s file, but Heidi never made us feel guilty or bad in any way. She was very understanding and supportive. 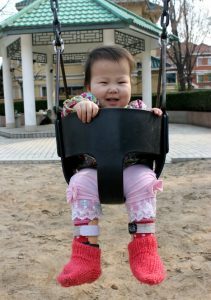 We had not decided that we were going to pursue another adoption or that we were going to adopt from China specifically, but seeing the children waiting and finding our daughter was the push we needed to commit and move forward. There are so many children waiting for families and we are so grateful to GWCA for helping us find out daughter. If you’re interested in learning how you can be matched through our china adoption program, visit GWCA’s Waiting Child photo listing or contact our matching specialists today!